One of the Department of Defense’s (DoD) most important offices, the Defense Contract Management Agency (DCMA) oversees the purchase of billions of dollars in goods and services for the American military. From combat boots to sophisticated aircraft, DCMA manages hundreds of thousands of contracts that have a collective value of $1.65 trillion. DCMA was created to help end decades of waste in Pentagon procurement, but yearly investigations by government watchdog agencies continue to turn up serious problems in DoD’s military spending. After the election of John F. Kennedy in 1960, Robert McNamara took over as Secretary of Defense. McNamara, a systems expert who was running Ford Motor Company when Kennedy appointed him, implemented numerous changes in the way DoD operated, including military contracting. McNamara ordered a study to examine the entire DoD contracting process. Known as “Project 60,” the findings led to a decision by McNamara to move many of DoD’s disparate contract administration responsibilities to the Defense Logistics Agency (DLA). However, the military services continued to retain oversight of major weapons programs. Over the next three decades, Pentagon spending ballooned on everything from tools to tanks, producing headlines in the media about DoD overspending. By the 1980s stories of defense waste became commonplace, highlighted by accounts of $600 toilet seats and $9,000 wrenches. Investigations into Pentagon waste led to a federal bribery investigation involving Defense Department contracts. In the wake of these controversies, DoD conducted another review of its defense contracts administration in 1989. Defense Management Review Decision 916 recommended the establishment of the Defense Contract Management Command (DCMC) within DLA to perform contract administration for the Pentagon. DCMC was created in 1990. Establishment of DCMC did not signal the end of contracting controversies. In fact, from the very beginning of the command in 1990 until the present day, the Government Accountability Office (GAO) has kept Pentagon weapons acquisitions on GAO’s list of troubled programs. 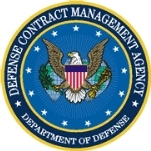 In yet another effort to improve the contracting process, DoD decided in 2000 to rename DCMC as the Defense Contract Management Agency and make it independent from DLA. But problems still plague this important part of DoD operations (see Controversies). The Defense Contract Management Agency (DCMA) is an independent agency within DoD that supervises and administers billions of dollars in contracts for the department. The agency oversees the delivery of goods and services to the military from thousands of companies. According to the DCMA, the agency is responsible for 334,000 active contracts at a face value of around $1.65 trillion that provide the military with such things as aircraft, space launch vehicles and spacecraft, medical supplies, electronic equipment, military vehicles, munitions, petroleum, chemicals, and lumber. The DCMA maintains sections that handle international contracts, finance/business, human resources, and special programs. The agency operations are spread out across the country and the world, with a total of 900 locations throughout the United States and in 26 foreign countries. Its consultants sometimes are based at the manufacturing facilities of private companies in order to monitor work being performed under contract. The agency is involved in all stages of contract administration. Before a contract is awarded to a company, the agency advises the contractor on drafting the solicitation and bid documents. After the contract is awarded, the DCMA serves as a go-between with contractors and DoD agencies that are supposed to receive the goods or services. The DCMA is charged with monitoring the contractor’s work and keeping the DoD agency apprised of progress and any potential setbacks. DCMA itself plans to add 9,300 employees by 2015, a 43% increase from 2008 levels. A total of 1,221 employees were hired in 2011, alone, financed by the Acquisition Workforce Development Fund (pdf). In functioning as a go-between agency, DCMA’s key stakeholders are other DoD offices and the thousands of private companies that receive Pentagon contracts. According to USAspending.gov, DCMA spent $2.7 billion on more than 50,000 contractor transactions between FY 2002 and FY 2012. The DCMA was created to ensure that Pentagon procurement efforts are conducted efficiently and on time. But that has not always been the case. On numerous occasions, the GAO has criticized the Department of Defense for allowing defense contractors to run up costs on big-ticket weapons systems. The March 2008 report by GAO auditors found programs for new ships, aircraft, and satellites were billions of dollars over budget and years behind schedule. Another project singled out was the Navy’s $5.2 billion Littoral Combat Ship, which experienced so many cost overruns that the service expected the price of its first two ships to exceed their combined budget of $472 million by more than 100%. The Navy canceled construction of the planned third and fourth ships by Lockheed Martin and General Dynamics, the prime contractors on the project. In another case, the initial contract target price of Boeing’s program to modernize avionics in the C-130 cargo plane was expected to skyrocket 323%, to $2 billion. The March 2008 report followed a 2005 report in which GAO officials found that eight of the 25 most troublesome federal programs or offices were located in DoD, including inventory management and weapons systems procurement. In 2003, a study by DoD’s inspector general found that the Pentagon could not account for more than a trillion dollars in monies spent. In November 2007, the DCMA was told to reinstate a longtime engineer who had been suspended following his complaints about over-billing by the Pentagon’s top contractor, Lockheed Martin. The US Merit Systems Protection Board ruled that Ken Pedeleose, a 13-year DCMA employee, had been improperly suspended from his job after calling attention to overcharges on Lockheed Martin military contracts and for advising a fellow employee who found safety problems with a military aircraft used by the Air Force. The DCMA suspended Pedeleose for 30 days on charges of insubordination and failure to cooperate in an internal investigation. Pedeleose appealed the suspension, claiming that the suspension was a reprisal by his boss, Air Force Col. Nicole Plourde, commander of the DCMA office at Lockheed Martin’s manufacturing facility in Marietta, Georgia. Pedeleose said he was punished after helping call attention to safety violations on the C-130J transport plane. The federal mediation board agreed with Pedeleose that the DCMA had abused its authority. The Defense Contract Management Agency (DCMA) issued new regulations in 2011 intended to help reduce waste, fraud and abuse in federal contracting. The new rules were supposed to ensure that contractors’ business systems, such as accounting and estimating programs, were compliant with government requirements. To prod contractors into meeting requirements, the DCMA included in the rule a 10% cap on monies that the agency could withhold from a business for not making the necessary changes with its business systems. The regulation followed calls in 2010 for the DCMA to work with another Pentagon operation, the Defense Contract Audit Agency (DCAA), on streamlining operations and reducing overhead. Defense contractors complained that the DCMA and DCAA often provided contradictory guidance, which only confused companies and increased their costs of doing business. The Government Accountability Office echoed this point in a report that called for the DCMA to develop a system that better reflected the actual status of a business system. Keith Ernst served as the acting director of the Defense Contract Management Agency from January 2006 through April 2008. A graduate of the University of Minnesota with a bachelor’s degree in engineering, Ernst began his government service as an officer and pilot in the Marine Corps. Following military service, he worked in private industry for eight years in technical sales and management positions. He began his civilian government career at the Defense Contract Administration Services Management Area (DCASMA), Twin Cities (now known as DCMA) in 1983. Following initial assignment as an industrial engineer, he subsequently held positions as a general engineer, systems engineering and program support branch chief, and technical assistance and assessment team supervisor. In 1997, Ernst joined DCMA Seattle as the technical assistance group chief and in 1999 was promoted to the position as deputy commander of DCMA San Francisco. From 2001 to 2002, Ernst held the position of director of contract operations directorate for DCMA West. In this position he was responsible for operations oversight and support of 28 contract management offices located throughout the western half of the United States. Ernst then served as the director of DCMA East (DCMAE), managing more than 203,439 contracts valued at $394.9 billion. DCMAE included 5,600 personnel and 23 major field command offices working with approximately 12,000 contractors. That agency had primary contract management responsibility for aeronautical systems and naval sea systems customers. In October 2005, Ernst was assigned to the Office of Deputy Director for DoD before becoming acting director of the DCMA. He retired effective April 30, 2008. I am a former Industrial Specialist who worked for what is now, I assume, DCMA Atlanta, which was headquartered in the same building as the Lockheed plant in Marietta, GA, at that time. I was assigned to their field office which was in Raleigh, NC at that time. The whole problem with the agency is the weight a performance evaluation has on the military officer assigned as Commanding Officer over each branch of the organization. These officers are assigned for a period of a few years and a poor performance evaluation for the agency while under that officer's command can cause him/her to be passed over for promotion and effectively end their military career. Thus, the agency will do nothing but dance to the music provided by the main office of the organization. Nothing discovered that would result in a poor grade that would bubble up to the top office and effect military performance evaluations all the way up the chain, is done. When a government agency that is responsible for insuring that $Billions of taxpayer dollars are managed according to Federal Acquisition Regulations (FAR) and Defense Federal Acquisition Regulations (DFAR) has as its Number One Priority, ensuring that all commanding officers advance in grade on schedule the entire program has run amok of the law and should have all of its officers and high paid civilians removed and replaced by new people that must dedicate themselves to serving our military, in the field, with the best possible equipage possible at the best possible price. If heads must roll and officer passed over in the process, so be it. The work that must be done well and efficiently is not about people and petty performance evaluations which are of no value to our fighting forces. All employees must be encouraged to expose all things that they witness appearing to be outside the box of right and proper without fear of retribution. Retribution was a serious deterrent to wrongs being righted. Many contracts are awarded to companies that could not possible meet the contract requirements. When contracts awarded by one agency and managed by another it was possible to see where undo assistance was lent by the buying agency, to the contractor, in order to facilitate production of an end product. Authorization of design changes made on the spot without the knowledge of the Contracting Officer responsible for managing the contract for one. Waiving technical drawing requirements to speed up production without following procedure and evaluation by the local Quality Assurance Representative (QAR) and the like. Rules were treated an Not Applicable if found to be inconvenient by the Buying Command. They acted as if the contract was just to get their feet in the door so engineering personnel could design by the seat of their pants. The entire procurement process and procedures must be reevaluated and revised to end Fraud Waste and Abuse throughout. Just like those in offices of our central government at this time. Sworn to preserve, protect and defend the Constitution from all enemies, both foreign and domestic, yet breaking its laws every day for personal benefits to which they are not entitled and serving more than the one term the Constitution limits them to serving. I am a Level III & IV Contract Specialist with 30 years in the IRS 26 years in DOD. A Contracting Officer (from the specific Agency should be informed of the stolen monies (It will impact future business with the Company (Determination of Responsibility which is required prior to future awards. You can also contact the IRS Procurement Office in Oxon Hill MD (or just report them to the IRS in general. Upon verification of your info, The IRS will get your money back (by garnishment of there profit on future contracts. I would like to know if there are any regulations are on companies that start up with stolen monies? I have one that stole mine (I am disabled) and my sisters (single parent with 2 boys) yet you have given them contracts repeatedly. Are there no laws or regulations? Where else could I put in a complaint? i need the duty officer to contact me asap at 843-992-5812. my son has been stranded at camp lsa, in kuwait city for 3 weeks with no passport by protective services, inc, while waiting for a new iraqi passport. now i understand that the whole process has been changed, but he requested the return of his passport a week ago. it has yet to be returned to his possession. please call me. why isit getting harder and harder for us americans to get on in iraq,afghannd kuwait but the british candle stick maker are getting on as mechanics ? so many nationalities are on contracts now and the americans are out of work i been on some of these contracts and see 3rd world people work on some of the equipment that i need a secret sercurity clearence for ? most important agency - ugh - what a crock. these people and leadership are clueless and beyond incompetent. they are the poster child for the saying "numbers lie and liars use numbers". if you the taxpayer only knew the truth about about what $200 billion a year operating budget gets you. On April 1, 2014, Wendy M. Masiello of the U.S. Air Force was named director of the Defense Contract Management Agency (DCMA), which handles procurement of everything from uniforms to jet aircraft for the U.S. military. DCMA has more than 12.000 employees and manages more than 330,000 active contracts. With the title came a promotion to lieutenant general. Masiello is from Lubbock, Texas, and graduated from Monterey High School in 1976. She remained in Lubbock for college, attending Texas Tech University. While in school, she participated in ROTC and graduated in December 1980 with a Bachelor of Business Administration in marketing and a commission in the Air Force. Her first assignment was as a procurement and production officer at contractor General Electric. After getting her feet wet there, she was sent to the Air Force Institute of Technology at Wright-Patterson Air Force Base in Ohio. Masiello earned an M.S. in logistics management in 1984. She was assigned progressively more responsible positions in contracting and related disciplines for the next several years. In 1998, Masiello took time for more schooling, this time earning an M.S. in national resource strategy from the Industrial College of the Armed Forces the following year. Masiello then resumed working on Air Force contracts and procurements. However, in July 2002, she was made deputy commander of the 95th Air Base Wing at Edwards Air Force Base in California. The 95th Air Base Wing was responsible for running the base that is the home to much of the test flying by the U.S. military. By the end of 2002, Masiello was made wing commander. In 2004, Masiello returned to contracting at Wright-Patterson. The following year, she did a tour in Iraq as principal assistant for contracting forces in Iraq/Afghanistan in Baghdad. Masiello returned to the United States, this time to Washington, in 2006 as associate deputy assistant Air Force secretary for contracting. In 2007, by now a brigadier general, she was named program executive officer for Combat and Mission Support and in 2011 Masiello was named deputy assistant secretary for contracting, a post she filled until being assigned to her current job. Masiello is married and her husband does have to salute her. Tom Masiello is a major general in the Air Force. The Masiellos have two sons, both of whom are in the Air Force. 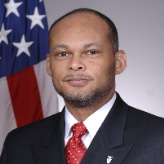 Charlie Williams, Jr. took over as director of the Defense Contract Management Agency May 4, 2008. Born in Nashville, Williams earned a bachelors of science degree from Middle Tennessee State University and a master’s degree from Tennessee State University. Williams began his government career in 1982. After graduating from the Air Force Logistics Command Mid-Level Management Training Program, he worked as a senior buyer and contracting officer for F100 and TF39 engines at Kelly Air Force Base in Texas. From 1984 to 1987, he was an analyst in the Resources and Analysis Division of the Headquarters Air Force Logistics Command at Wright-Patterson Air Force Base in Ohio. Williams then spent a year in the private sector at General Electric’s Aircraft Engines Division in Cincinnati. He returned to Wright-Patterson as the director of business strategy in the Acquisition Logistics Division, and then moved up to chief of the Logistics Support Contracting Division in 1990 and to deputy chief for resources, management and analysis for Air Force Material Command in 1992. In 1996, he earned a second master’s degree, this time in national resource management from the Industrial College of the Armed Forces. Back at Wright-Patterson, Williams was technical advisor to the Chief of Contracting Policy before spending several years at U.S. Air Force Headquarters in Washington, D.C. as team leader of the Program Executive Officer and Designated Acquisition Commander programs, Assistant Secretary of the Air Force for Acquisition, Associate Deputy Secretary for Contracting and Deputy Assistant Secretary for Contracting. He was also the U.S. member of NATO’s Airborne Early Warning and Control Programme Board of Directors.